We are all aware of the ravaging wildfires in Paradise, CA and the many efforts to assist this devastated community. We believe there is more to be done and we recognize the urgent need these displaced residents have to replace the jobs that were lost in the destruction. 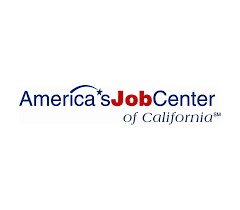 Therefore, Nevada Builders is partnering with America’s Job Centers of California/Alliance for Workforce Development to assist in finding job opportunities here in Northern Nevada for construction industry workers who have lost their homes and jobs in Paradise. If you are looking for temporary and/or permanent workers, please reach out and let us know. Please complete the Paradise JOB ORDER FORM BLANK-Fillable and return to us and we will forward it to AJCC and your position(s) will be listed in their job bank. If you also have a California contractor’s number, include that as well and your positions will be listed in their state job bank as well. Please reach out with questions and send your information to Pam at outreach@nevadabuilders.org. We want to do what we can to get our Paradise neighbors back on solid footing by helping them find employment, and possibly a housing if needed, here in Northern Nevada.